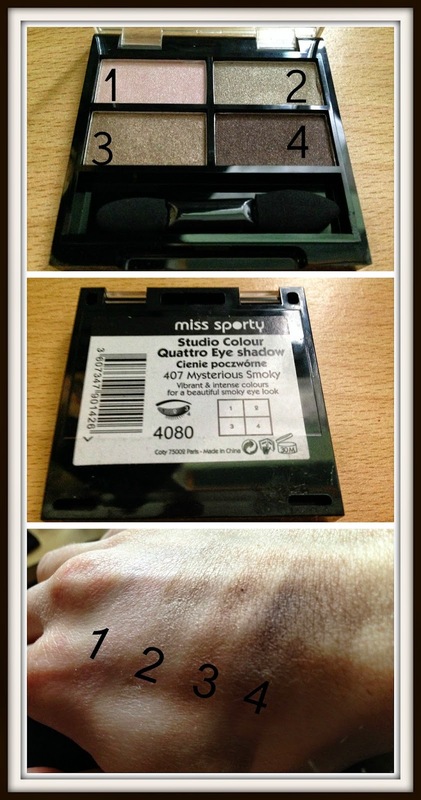 The Smoky eye is at the heart of every girl’s box of tricks and Miss Sporty’s Quattro eyeshadow range offers all you need in one palette. There are six palettes available, each with four complimentary shades, that create a number of different smoky eye looks. So whether you prefer the traditional look or something more girly you’ll bound to find a palette that suits the occasion. 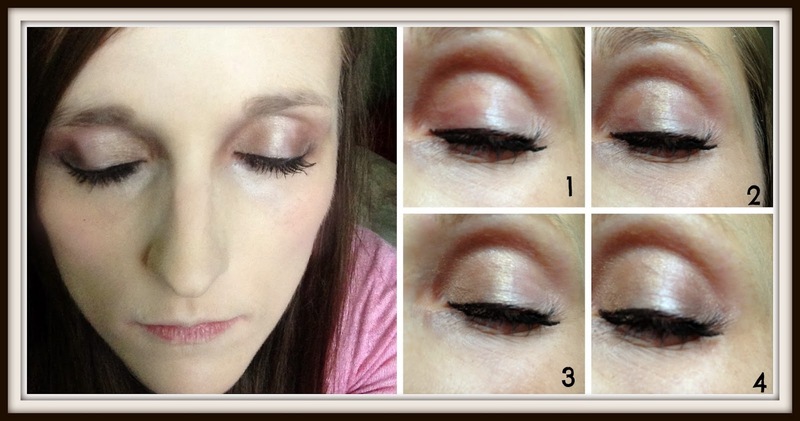 I’m reviewing Mysterious Smoky a lovely palette of golds, browns and pink. Each shade is quite different on the colour spectrum so I’m interested to see what kind of result I get – hopefully not too contrasted! On first impressions I found the shades had a lot of sparkle in them, were soft and quite pretty. Whilst saying that the darker brown shade was a lot harder and stood out a lot in comparison to the other shades. 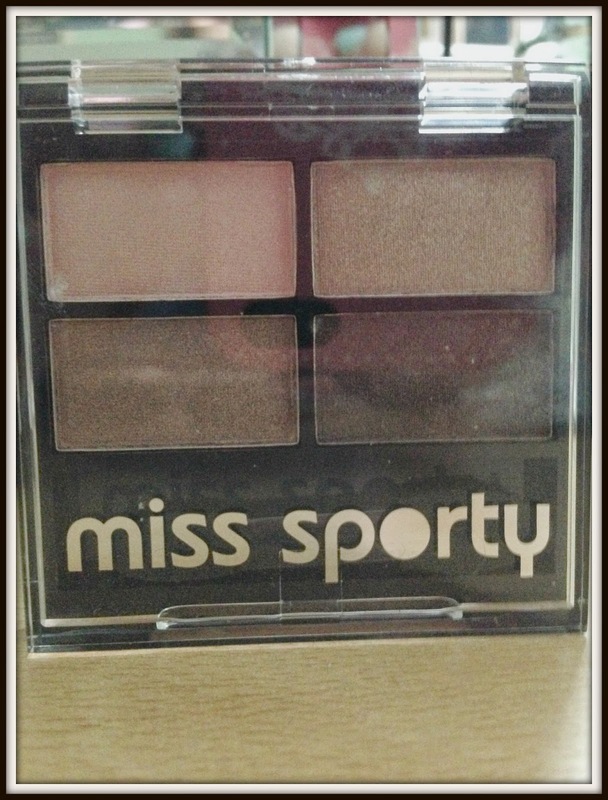 I’m always looking for inspiration to try new things and Miss Sporty offer a useful guide on the palette if you’re not sure how to apply it. Perfect for beginners new to makeup. When swatched I found the shadow really hard to see which worried me a little. It was hard work applying the shadow and I did have to press a bit harder then normal to get a visible result. Whilst the final look was quite light and faint the colours did blend really well and it had a nice shimmer. I would say the colours are stronger in the palette then they appear on so you should take that into consideration when trying out new looks. The palettes are only £2.99 which is a fantastic budget price so you can still treat yourself when you’re running out of pennies. A great range of palettes at a fabulous price that does the job. What more could you ask for?